Interested in introducing Springfield into your market? 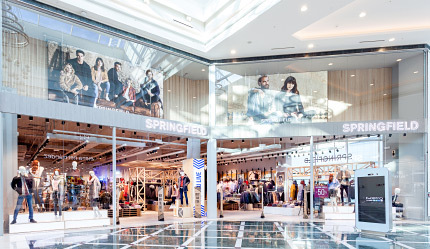 Born in Europe in 1988, Springfield is a casual wear with a contemporary and casual appeal for men and women worldwide targeting a wide audience of consumers from 25 to 35 years old with a strong personality and a unique sense of style. Springfield belongs to Tendam, a leading company in the fashion industry with which has a trade network. Our deep know-how of the retail business has led us to a continuous and outstanding growth in the past few years and to exceed more than 850 points of sale worldwide and proven success in more than 70 countries. Our product and business concepts are under continuous development which is one of the key success factors that that explains our success in our home and international markets, allowing us and our partners to keep increasing our market share year by year. Do you want to learn more about the brand? 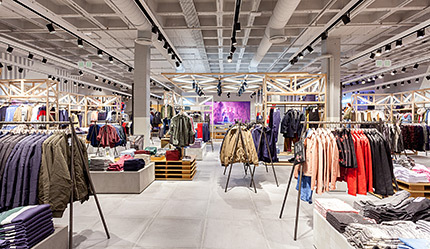 We operate through stand-alone stores, in shopping malls or the main street locations and/or corners in department stores. We are looking forward to hearing about your project and having you on board! * Please note that we do not franchise in Spain nor Portugal as we operate through our own corporate stores. Do you want to be our franchisee?